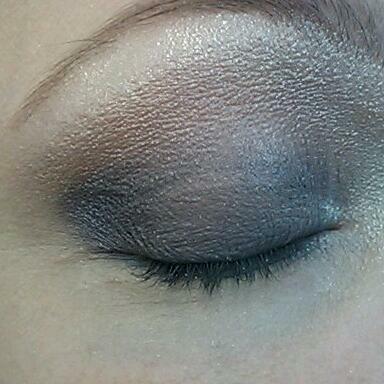 Cari asked for an eye tutorial, and I aim to please, so here we go! 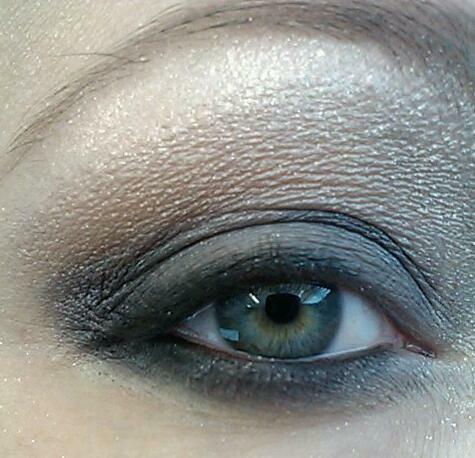 This one is for a smoky eye. You can do it up heavy for going out, or tone it down for the office. So, it's really two looks in one! 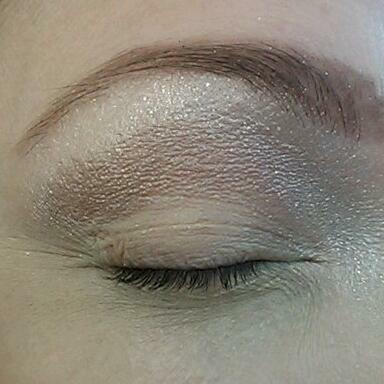 Ok, start by applying Celestine to the area above your lid, but not all the way up to your brow bone. Go ahead and get the inner corners of your eyes, too. Now put Diamond Girl below your eyebrow down to where you stopped applying Celestine. Put a hefty dollop of it at the inner corner of your eye. Blend lightly. Now, take a bit of Skyline, and apply to the lid ONLY. Take some time and really smudge it in there. You want to have a light layer of this, because the better you can work it onto your lid, the less creasing you'll have later. I smudge mine for about 30 seconds each side, and it never creases on me. You want to make it a bit darker on the lid closest to your nose. Try to not make the very center too dark. If you leave it a little bit lighter it will brighten up your eyes. I'm not explaining the effect it gives very well, but just try it, and you'll see. See how subtle that looks? We are going to be putting a lot of color on our lids, so we don't want to go all crazy with the base here. Ok, now take some more Skyline, and smudge it in on your lower lid. Your ENTIRE lower lid. For as long as there is a curve, smudge that sucker. You can make it fade out lighter the closer you get to your cheek, but a fantastic makeup artist guru that I practically worship has advised me to shadow the entire lower lid. She said do it, I did it, and it looks 100 times better than when I stayed super-close to my lash line. It makes your eyes look bigger. Ok, so smudge away. See? That's not so scary, now is it? Alright, now you are going to take that eye pencil in Zero and line your top lid's water line, and push it into the lash line up there. 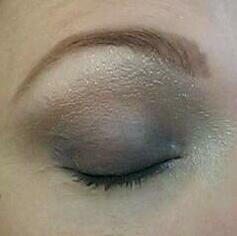 Then, take your 1990's and smudge it into your outer corner, and blend just a little bit. (DO IT IN THAT ORDER!!! You want the pencil to have some cleanish skin to grab on to, so do the pencil first!) 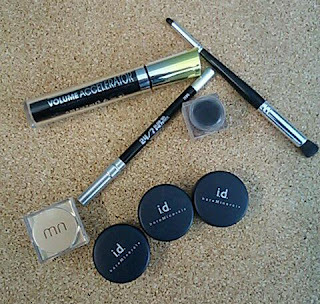 Go ahead and trail the brush through your eye crease, too. It'll give a little bit of unity to the look. Try to not blend too much, though. It'll end up being all the same color if you blend for too long. You want to blend where the colors meet each other, not the whole eyelid all together. See how the sections are distinct, but the boundaries are kinda blurry? That's what we're going for. Now, I think you can substitute any of the items that I'm using, except for this next one. It's Sormeh by Mosha Katani, in Black. There is no substitute. Trust me, I've looked and looked for a product like this, and this is the only one out there. It won't crease, it won't run, it won't look harsh, you just have to get it and use it, and that's just the way it is, ya'll. 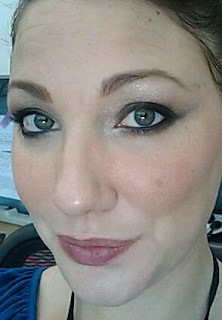 Ok, so you take some Sormeh, and smudge it into your upper and lower lash line. Use it on your waterline, too, both top and bottom. Go ahead and add some more. No, no, I mean it, don't be shy. Ok, now smudge it down a little bit on your lower lid. Now smudge up a bit from your lashline on your upper lid. This is where we are going from wearing grey eyeshadow to having a smoky eye. Aren't we pretty? Ok, add some mascara. Go ahead and add another coat of mascara if you want. False eyelashes are fun too! 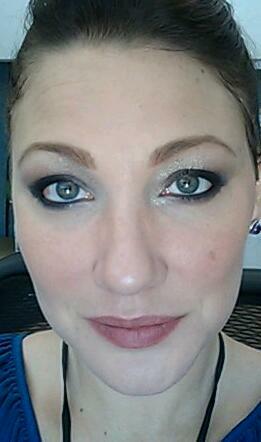 I'd put some on, but I'm doing the Latisse thing, and I want to not wear falsies while testing it out. Oh, crap, I have fallout. Did you? Well, here is a super-secret trick... wipe the area clean with a baby wipe. Now take a bit of concealer/brightener (I used Maybelline DreamLumi Touch Highlighting Concealer in Beige) and paint the area back all pretty, gently pat it to blend, and there you go, no fallout! Now, you see why we didn't go bonkers with those first layers? Once it all gets on there, we got DARK! Now it's time for some margaritas with the girls!!! Oh, wait a second... it's still worktime. Shoot. Well, let's tone this down a bit. How? Easy peasy! Take a clean, dry napkin, and wipe once, firmly, from your nose to the end of your eye. Not crazy firmly, but you are trying to take off a layer of color. Do not go in any other direction. Because of the way we put on our colors, if you go horizontally from nose to outer eye, you won't cross a dark color over a lighter color. If you need to swipe again, USE A CLEAN TISSUE. You don't want to muddy your colors, just take a bit of it off!!! Just to note, you see that really faint winged effect? That came from using the baby wipe to clean up the fallout. Awesome, huh? 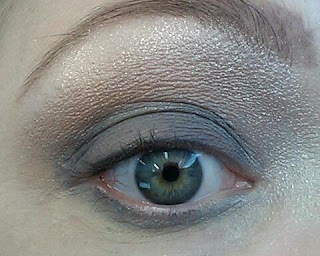 It really is the best way I've found to have a super-clean soft wing, and it is almost zero effort to get it. I really enjoyed this post! I read it thoroughly, trying to imprint your words in my brain. I'm definately going to give this a try. I'm going out on Saturday, so I need to get LittleRockolicious. Thank you so, so much!